7digital What we said: If any artist has the imagination, talent and energy to take 2017, it’s Tkay Maidza. 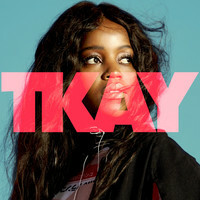 Building on the promise of 2014’s thrillingly-diverse Switch Tape EP, her full-length debut, Tkay, is riotous smash-and-grab through hip-hop, pop and various dance subgenres, and posits the Australian MC/singer as the missing link between Missy Elliott, Arular-era M.I.A. and Charli XCX. You’ll have to wait ’til January to hear the album but sate your cravings for now with irresistible single ‘Simulation’.